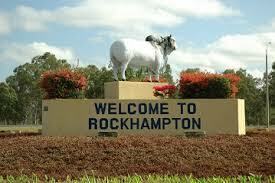 It might feel like a different world, but Capricorn Caves is just 23km north of Rockhampton. It’s an easy drive and accessible to coaches. 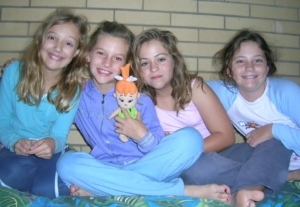 Whether you choose a day visit or an accommodated school camp, we strive to offer exceptional value for money. 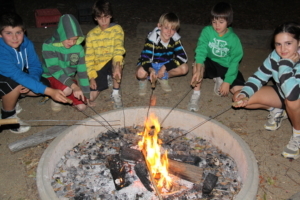 Our curriculum-linked programs are designed to be fun and flexible to meet your educational needs. Qualified Outdoor Recreation staff deliver first class adventure activities which build confidence and promote self-discovery while a partnership with palaeontologists from the Queensland Museum has turned the 400-million-year-old caves into a living classroom where students discover the wonders of nature first-hand. 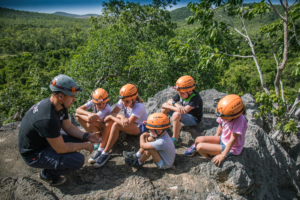 With accommodation for up to 120 students and full catering services, Capricorn Caves offers the most diverse and complete camp experience in Queensland. The students really learn so much about the caves and the bats, as well as the very important aspects of working in in a team. You have such a great facility with wonderful staff that are very knowledgeable and committed to supporting students learning. We were very well looked after as usual. The Fossil Tour was excellent! It is suitable for their age level and fits well with the Science Curriculum descriptor “The Earths’s surface changes over time due to natural processes and human activity. The students curiosity is insatiable at this level and the fossil tour has so much to revisit time and time again. Please type the characters above to prove you are a real person.